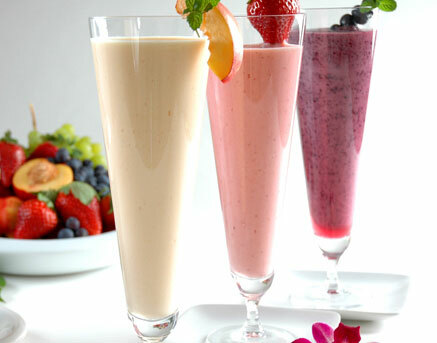 There’s really nothing better on a hot summer day then a cool, refreshing and invigorating fruit smoothie. The best thing about smoothies is that there’s really no wrong way to make one. I don’t know about your area of the country, but we’ve been hit with some scorching hot days and a cool treat like this is a great alternative for some other unhealthy icy treats.